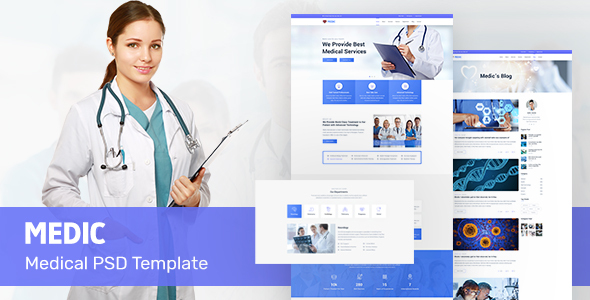 Medic is a PSD template specially made for Hospitals, Dentists, Gynecologists, Physiatrists, Psychologists and Laboratories related websites. The PSD files are fully layered and customizable and all elements are in groups and can easily identify by the group name as well. Placeholders will let you easily identify the image container and change an image version.